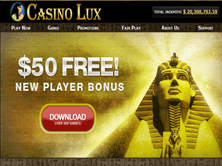 Casino Lux is one of the longest running gaming site in the industry since it has been established in 1997. Ultra Internet Media owns and manages the said site, which is licensed under the jurisdiction of Malta. Its Egyptian theme makes the gaming site classy and attractive. Several software providers such as Ash Gaming, Blueprint Gaming, Cryptologic (WagerLogic), Electracade, Grand Virtual, and Playtech are working together to give a diverse collection of games in LuxCasino. 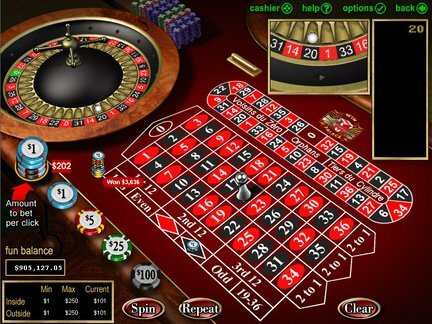 Games in this gaming site range from the traditional to unconventional varieties. The game selection includes Multi-Hand Blackjack, Grand Virtual slots, Roulette, Superman, Three-Card Poker, Bejeweled 2, Red Dog, Video Poker and Baccarat. Players will love not only the cool game interfaces but also the big and progressive jackpots. In order to enjoy these games, players need to get the downloadable software installer of the site. Lux bonus is seldom offered in the gaming arena. Upon joining the site, new players only get 100% match up bonus with a maximum of $200 free credits. In addition to low occurrence of promos, there is also a high wagering requirement for the sign up promo, making it difficult for the players to withdraw their winnings. The gaming site can be configured to use the following languages: Chinese, Danish, Dutch, English, German, Italian, Japanese, Korean, Norwegian, Portuguese, Spanish, Swedish, French, and Greek. Unfortunately, Malta, United States, Israel, and Turkey players are restricted to join the gaming site. These players, however, are allowed to play in fun mode. Customer support of CasinoLux is reachable through live chat and e-mail address. The chat box is strategically placed within the gaming site for the ease of players in raising their concerns and issues. Different e-mail addresses are also set up to categorize the concerns of the players. Complaints against the gaming site include minimal bonuses and low payout. Some players mention that the site is not recommended for small bettors but it could pay high for the risk takers. Games are also criticized because some players do not prefer the site's design. Other than that, there are no unresolved issues regarding the site. Therefore, Lux deserves a 3 out of 5 rating.